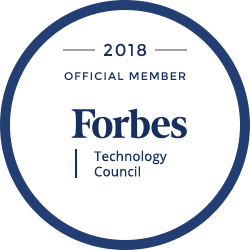 …that I have been selected and invited into the Forbes Technology Council – an invitation-only community for world-class CIOs, CTOs and technology executives – and now it’s official that I am joining it! I’m honoured to have been selected and are looking forward to this challenge. 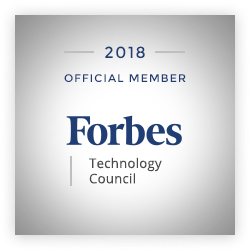 As I joins other Forbes Tech Council members, who all are hand-selected, I will become part of a curated network of successful peers and get access to a variety of exclusive benefits and resources, including the opportunity to submit thought leadership articles and short tips on industry-related topics for publishing on Forbes.com. I’ve already been featured in two articles on Forbes where I’ve shared some short tips on two subjects; Eight Approaches Tech Executives Can Use To Strengthen Management Skills and When Seeking Top Tech Candidates, Look For These Eight Aspects. I’m going to start to write a thought leadership piece a month about the impact of Emerging Technology in general, with innovation strategies and use cases in Nordic/European as focus areas. We will see how it develops, but I’m sure that the great people @ Forbes.com and I will work it out. Social Media can be used for peace making, can humans make peace? An African Chief can make peace in the small, can it be used for leaders too? Can growth be the mother of all conflicts? What does it has in common with our economical hype that we see among social media networks?